This is a truly magical experience as you move with the wind. Relax as you are carried on a unique route and let your worries drift away as you float along with the clouds. As you slowly take off, you'll be more aware of the ground dropping away rather than any sensation of moving or rising, and you can focus on enjoying the spectacular views as you rise to unimaginable heights. Your experience begins with inflating the balloon an hour before sunrise or two hours before sunset. You’ll be lifting off from a designated area around Glen Falls, New York. 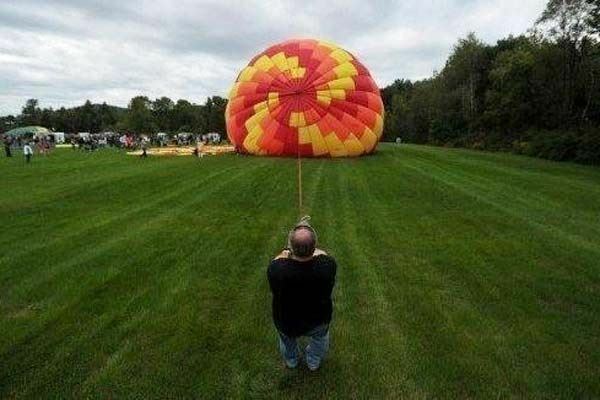 If you want, you can assist with the inflation of the balloon. 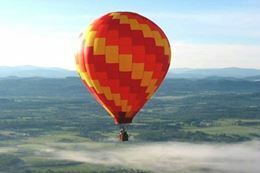 Once the balloon is almost ready for takeoff, you will climb into the basket as the pilot heats the air inside the balloon’s envelope until it becomes "lighter than air". Lift-off is smooth, and you probably won't even realize you've left the ground until you notice people and places getting smaller and smaller. After approximately 40 to 60 minutes the balloon will begin to descend, and the Pilot will prepare for landing. The balloon flight’s chase crew will meet you and help you celebrate this exciting airborne voyage with a traditional Champagne toast. Once the balloon is all packed up, you will have your Post-Flight Picnic. After the picnic, you’ll be brought back your vehicle. 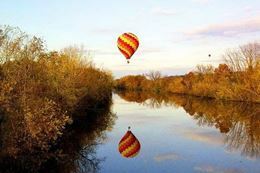 40 to 60 minute hot air balloon flight at sunrise or sunset. A champagne toast and a picnic to savor on landing. Duration: 3-hours with a flight time of approximately 40 – 60 minutes. Flight length is determined by conditions on the day. Please note that everyone in your party must be able to get in and out of the balloon basket unassisted. There is no door that swings open and you will be required to climb in and out. Minimum age for participants is 7 years. Participants must be between 4' and 6'5" tall. 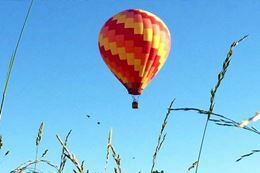 Balloons can carry up to 12 passengers. Balloon flights rely on suitable winds and weather. You will be asked to phone the operator prior to the flight to check conditions. 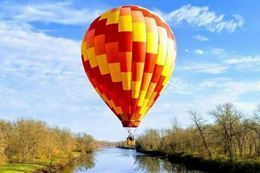 If your flight is cancelled due to the weather, you can rebook another date with the balloon operator. 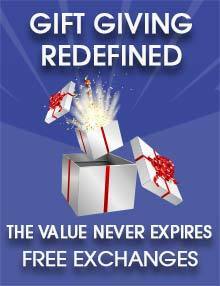 For your comfort and enjoyment, it is recommended you wear comfortable, casual clothing. Solid, flat footwear is essential. No high heels or sandals please. It’s no colder in the air than on the ground and you will be outdoors for 3 hours. Dress for the temperature of the day. Bringing a jacket or light sweater might make you more comfortable if it is cool first thing in the morning or after landing in the evening. Participants that have recently had injuries, surgery, hip/knee/back problems, health concerns, physical limitations, severe auditory problems or is/may be pregnant are not eligible to participate. Each passenger will be required to complete a Passenger Liability Waiver before the flight. 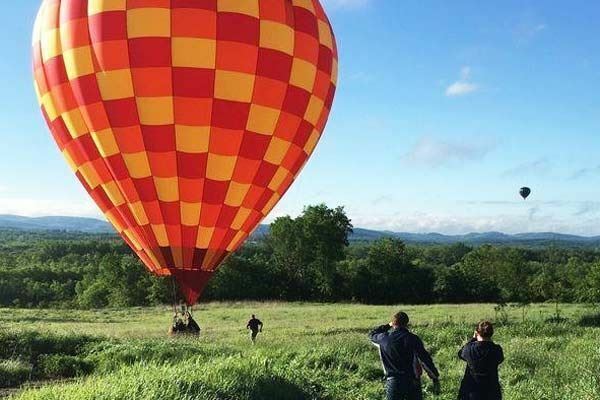 This Hot Air Balloon Ride over Glens Falls is an incredible experience to check off your bucket list and makes a truly unique gift for any special occasion.